While some people enjoy the fun and adventure of a business trip…after all who doesn’t love airport lounges, long meetings and Wi-Fi charges? For others it brings them out in a cold sweat. However, from helping you around, to sussing out the local lingo, there are plenty of apps that can improve your trip at the touch of a button. With over 1 million apps available to download, the choice is overwhelming. Most people stick with a few tried and tested apps that they know and trust, and certainly, with such a wide and often bewildering choice it’s often difficult to spot the ones that will genuinely make your life easier or solve a problem you didn’t even realise you had. 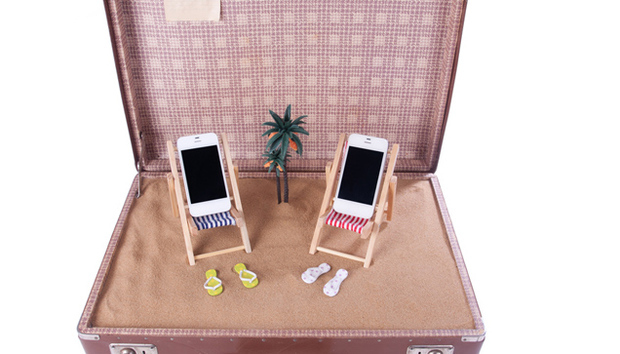 Andy Speight, a former travel agent with 25 years’ experience in the travel industry, and who is now managing director of Digital Trip, one of the leaders in the travel technology industry, shares his top 10 apps for business travel this summer, which should go a long way to making your life easier. No more standing underneath a TV screen at the airport waiting for your departure gate to appear. With FlightTrack 5, thousands of domestic and international flights are trackable on easy to read maps. Details like departure gates, delays and cancellations are at users' fingertips. Push notifications tell travellers when they should roll out of bed and head to the airport. FlightTrack even colour codes your flights so you quickly know whether to get out your boarding pass or grab a coffee first. The terminal maps on the app are very useful too. Available on iPhone for £2.99 and Android for £3.10. Data roaming charges are still very high but this handy app will help you bypass a large bill at the end of your trip. Once installed, it reduces the amount of data you need to perform everyday tasks such as downloading emails, updating your LinkedIn status and browsing Twitter. Having the internet handy in a foreign country is an absolute must, so enjoy data usage without worrying about a massive payment when you get home. Best of all, this app is free on Android and iPhone. An intuitive app offering weather reports for over two million geographical locations, feeding in everything from cloud formations and atmospheric pressure to wind speed and humidity. This handy app helps you to pack light so you don’t end up soaked in the rain without your best umbrella or a suitcase full of jumpers when it’s going to be sunny. Tipping in an unfamiliar country is rarely something to worry about until you’re at the table getting dirty looks from the waiter. In some countries a generous tip will cause offence, while in others what may seem generous will draw scathing remarks. This super app not only helps to split bills with ease, but it also calculates tips depending on where you are and the currency you’re using. Available on iPhone for just 69p. Rating: 9 out of 10 – anything that puts you in a waiter’s good books is worth it! TripIt was one of the first travel apps available and has mastered the art of keeping travellers prepared from allowing users to create itineraries that are shareable with friends and family, to helping you find the perfect rental car. This app has it all sorted. Simply forward your travel confirmation emails and TripIt automagically creates a detailed daily itinerary for every trip. It even allows you to add activities, travel and accommodation details too, so it’s a one stop app. Best of all it is free. Viber offers free calls, text and picture sharing with anyone, anywhere. It allows you to make free calls and send any kind of message to other Viber users, on any device, in any network and country. It makes staying in touch with loved ones back home easier than ever. A new feature lets Viber users call those without the app for an incredibly affordable fee. Another fantastic app for free. You have the money sorted, now what about the language? You could muddle through with a phrase book and a lot of miming, but this clever app supports over 50 languages in text-to-text mode and 11 languages with voice recognition. It uses both Google and Bing’s translation services to provide the best accuracy possible, so at the very least you should have no bother finding the toilets. Available on Android for £1.95. Rating: 8 of 10 – now you just have to master the accent! This is a well-loved classic and for good reason. Don’t bother paying for one of the many currency converter apps out there when you can get a hold of this beauty for free. It’s slick, simple and uses live currency rates. You won’t be getting a more accurate conversion by paying for a different app. With this in your pocket, you’ll easily see the best rate and whether that coffee shop is as expensive as you first thought. A classic app for free. This clever app is great for answering questions you would normally need to ask a local. Like a private tour guide, it can tell you where the best hotels, shops and food experiences are near you. It works locating you and finding nearby points of interest based on what you're looking for. It's also free, so no need to splash the cash to get a personalised experience. If you do get a chance for a bit of downtime in the sun you don’t want to arrive at your meeting looking like a lobster. Scientists reckon up to 80% of skin damage caused before the age of 60 is due to the sun – so before you hit the sun it’s time to slap on the sunscreen. We’re sure you remembered to pack it but to get optimum protection you have to be smart about applying it. This free app cleverly detects the UVI rating of your location and sets a countdown timer to alert you when it’s time for reapplication. Simply input your skin type, the SPF of your sunblock and get sunning. Be sun safe for free with this app. Rating: 6 out of 10 - only because sadly there isn’t always enough time to catch some rays.